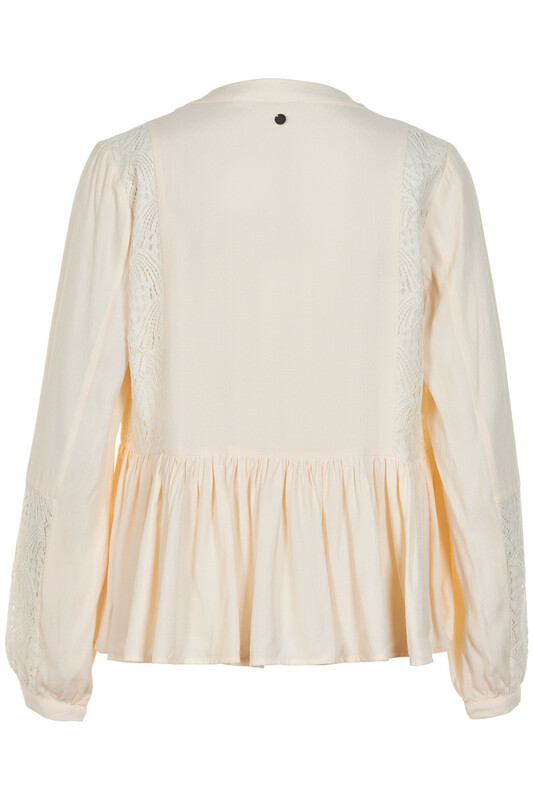 Beautiful ivory blouse with lace panelling on the front and on the sleeves. 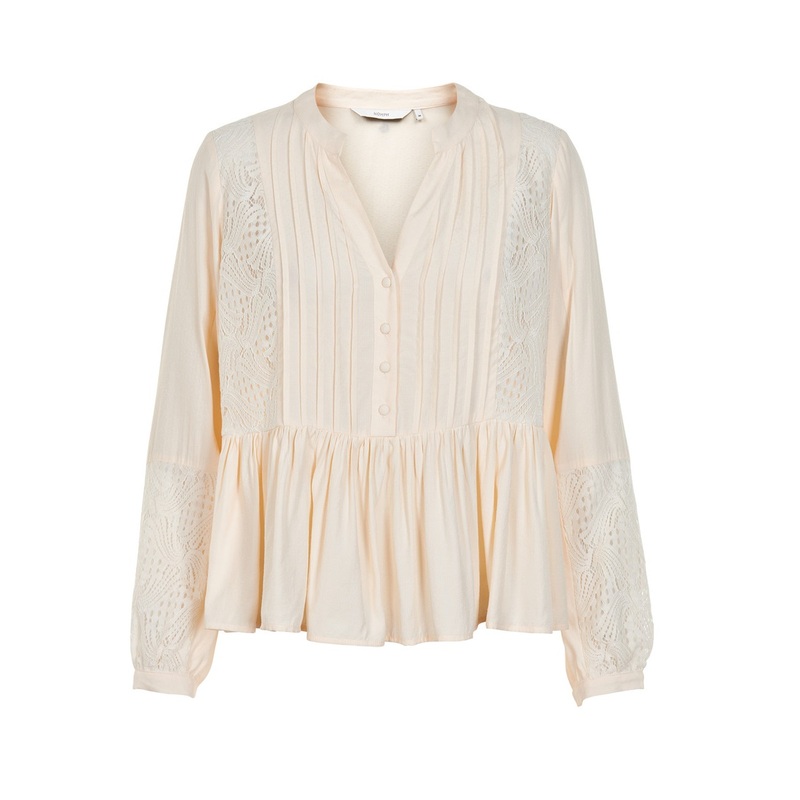 Fabric covered buttons and pintuck detailing down the front. 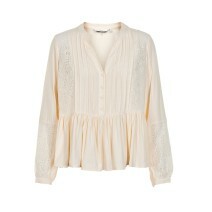 Made from viscose blended fibres.